Mixed prints and modern progression are backed by environmentally-conscious construction in the Sundays Lo Tides Boardshorts. 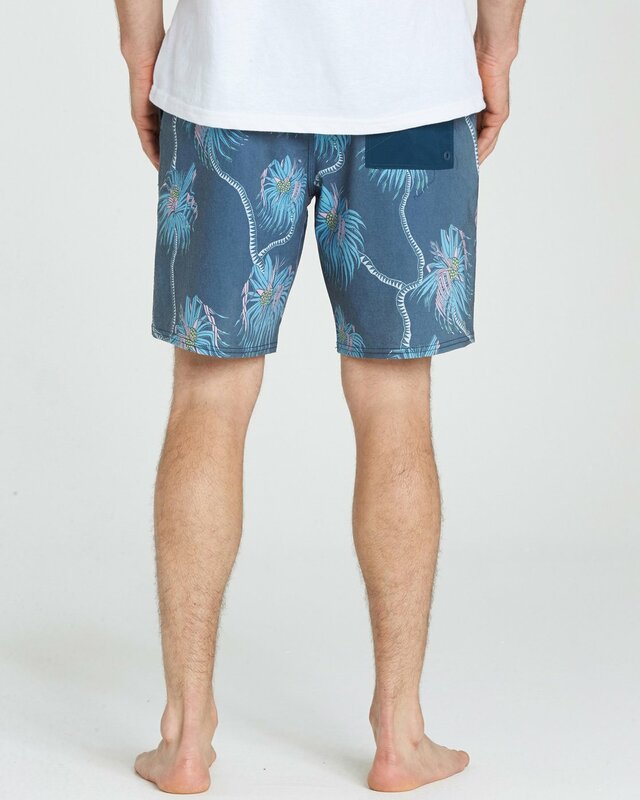 The cotton and recycled stretch blend, all over print boardshort features a vintage feel with modern stretch, on-seam pockets, and an internal lasso waist for the perfect fit. 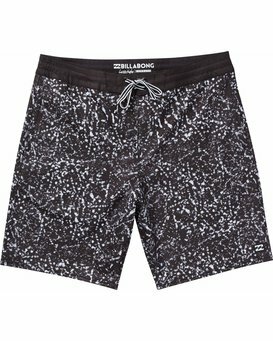 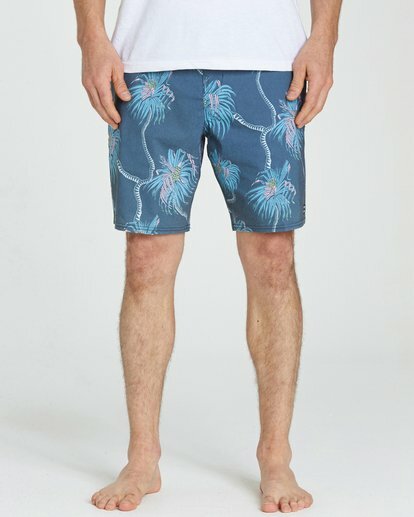 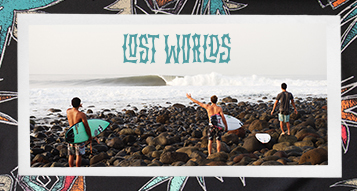 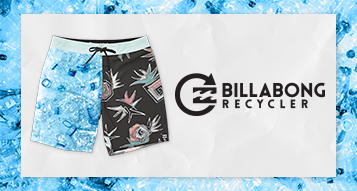 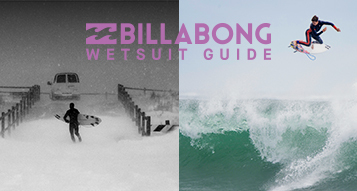 Billabong Lo Tides Series boardshorts. 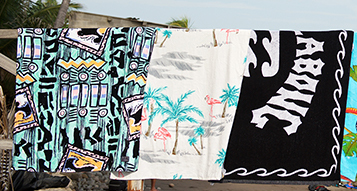 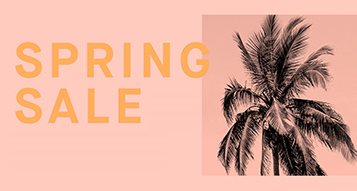 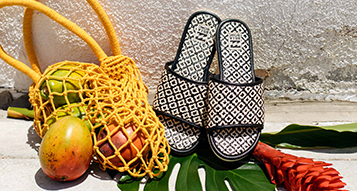 Pattern: modern aloha print, fade or mixed print. 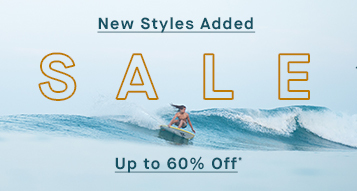 Lo Tides Fit: Shorter cut and modern fit, perfect for a quick shred or a lounge on the beach. 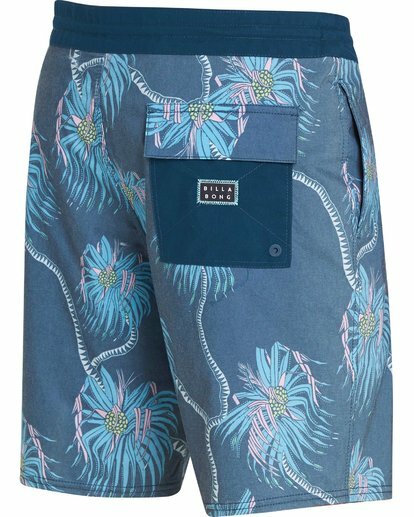 On seam pockets to take you from surf to sand. 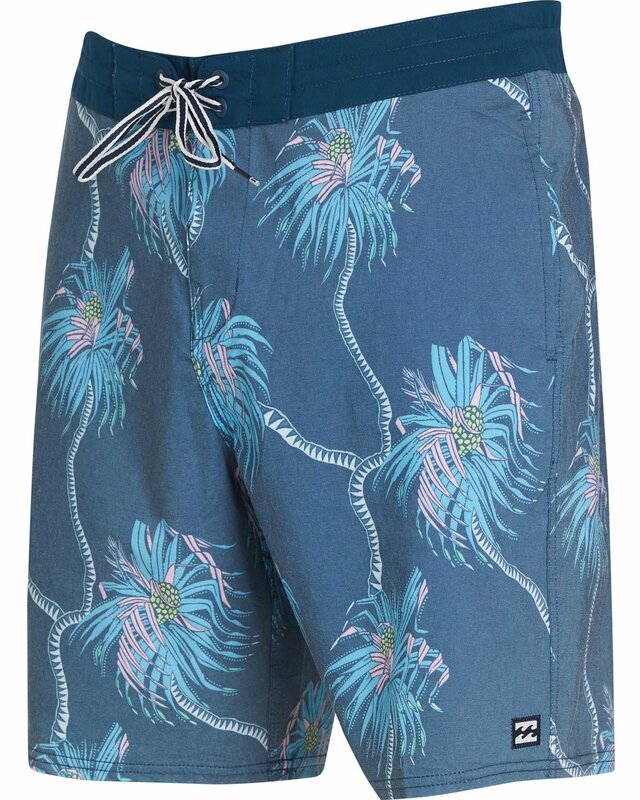 Lasso waist: full-waist drawcord for a precise fit. Cotton stretch blend combines the breathable softness and structure of cotton with the stretchable performance of polyester. Woven label at back patch pocket and at left hem. Mid Length Fit – 19 inch outseam.